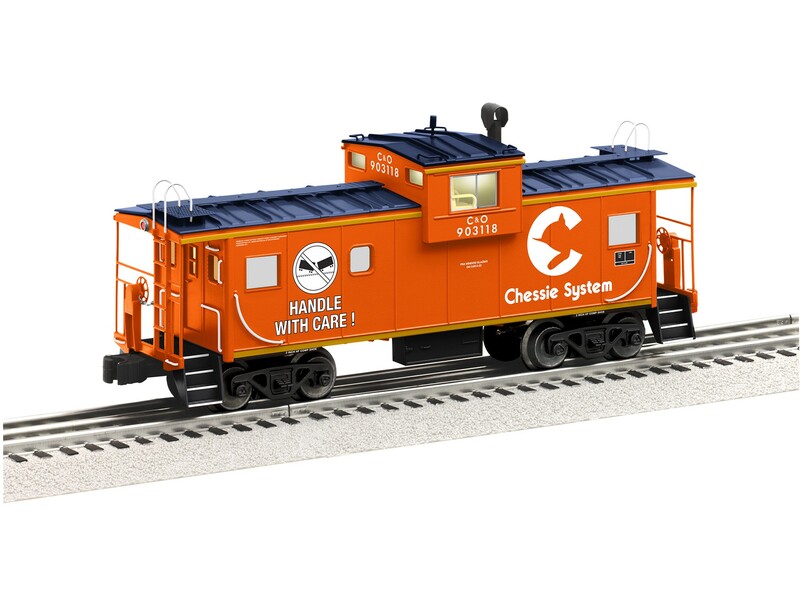 Keep an eye out for hotboxes and shifted loads with a conductor's eye view of your railroad from the new CupolaCam™ Caboose! A small Wi-Fi camera is mounted in the coupola of the caboose providing a look ahead over your train. Or turn the car around and watch the scenery roll by. Stream live or record video wirelessly from your layout! CupolaCam™ Wi-fi video camera streams live video from the conductor's vantage point Die cast metal trucks and operating couplers LED interior illumination with on/off switch Detailed interior with 2 figures Works with all layouts and 3-rail track and control systems PRODUCT SPECIFICATIONS Rail Line: Chessie System Road Number: 903118 Gauge: O Gauge Scale Type: Scale Power: Electric Min Curve: O31 Dimensions: 10 1/4"